and continue to grow until the month of the event. You may register NOW to reserve a priority withe an agent, and send your best polished work as late as August 01, 2019. While all participate on speaker panels and most are available by appointment at the open pitch sessions, not all participate in the Advanced Submission Masters ProCritique™ Program. Please read each bio carefully to find the best agent/publisher for your work before applying. Appearances are subject to change without notice for all the ususal reasons. 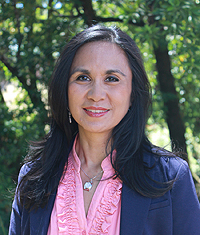 Lisa Abellera joined the prestigious Kimberley Cameron and Associates in 2013 with a background in management, marketing, and finance. She has studied creative writing, design and business, earning her B.A. in Strategic Management from Dominican University of CA and her M.F.A. in Creative Writing from University of San Francisco. Lisa had a successful career in the corporate world before joining the world of publishing. After editorial internships with an independent press and Kimberley Cameron & Associates, she now follows her true passion for books and writing. She leverages her business and marketing expertise to help authors navigate the complexities of publishing. She is excited to develop talented authors and help advance their careers. 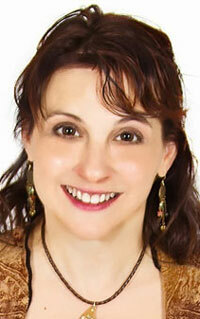 Ms. Abellera is actively building her client list with both debut and established authors. She is looking to form long-term, collaborative relationships with writers who are committed to putting forth their best work. Areas of Interest for Masters ProCritiques: She is seeking upmarket fiction, women's fiction, historical fiction, mystery/suspense, speculative or science thrillers, science fiction, fantasy, NA, YA and middle grade. My ProCritique Advance Submission guidelines are pretty simple: first 10 pages, double-spaced (preferably with a font that is not courier). If you want me to critique your query letter and/or synopsis, then those items are counted in that 10 page total that I’ll look at. For example, if there is a synopsis, then the author should send the synopsis (1-page, single-spaced) and the first 9 pages double spaced. Ms. Abellera will also appear on panels and take pitches from authors with polished manuscripts at various times throughout the weekend. Please make an appointment at the ProCritique Desk. Claire Gerus is a literary agent, editor, and author, with more than 30 years' experience assessing the publishing potential of fiction and nonfiction writers. Claire has often been involved in creating new lines of books for publishers, including a health imprint for Kensington Books, a new line of romances for Harlequin, and books on spirituality for business publisher, Adams Media. She also consults for new startup independent publishers. She is always looking for talented writers with an important message to share, whether via nonfiction or fiction. Her favorite genres are self-help, psychology, true crime, spirituality, short stories, alternative healing, and anything that promises to transform the reader in a positive way. For Masters ProCritiques, she will read the submissions of up to 15 authors of up to 20 pages. She will focus on readability, the writer's intention behind the proposed book, and (of course) grammar, style, theme, and its relevance to readers' lives. Authors will receive an edited copy of the submitted material, along with a verbal overview of her findings. Literary Agent Charlotte Gusay’s love of the literary has deep roots. She has come to be known as the “Diane Keaton” of agents - eclectic, quality, and very selective in choosing projects to represent. 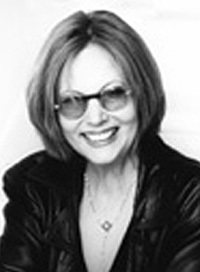 Founded on the basis of her hands-on experience in the book business (as a bookseller for many years,) Charlotte Gusay (founder-owner of The Charlotte Gusay Literary Agency) represents both fiction and nonfiction books, entertainment rights, books to film, selected screenplays and screenwriters and she often partners with WGA film agents. The Charlotte Gusay Literary Agency is looking for those books – both fiction and nonfiction that are both quality and commercial. For example, the Agency is particularly interested in innovative, unusual, eclectic, literary, historical, humorous books and those on any issues or topics, timely or socially important. Selection always comes down to the writing. The writing must be superb; the voice, seductive. Adventure, Contemporary Fiction, Feminist Fiction, Historical Fiction, Humorous Fiction, Literary Fiction, Mainstream Fiction, Military/War Fiction, Multicultural Fiction, Mystery, Regional Fiction, Suspense, Agriculture/Horticulture, Alternative Lifestyles, Anthropology/Archaeology, Art/Architecture, Biography, Communications, Cooking/Foods/Nutrition, Ethnic, Feminism, Film/Cinema/Stage, Gardening, Gay/Lesbian Nonfiction, General Nonfiction, Gift Book, Government/Politics, Health/Medicine, History, House and Home, Humanities, Humorous Nonfiction, Language and Literature, Literary Criticism, Multicultural Nonfiction, Music and Dance, Nature and Environment, Philosophy, Popular Science, Psychology, Reference, Regional Nonfiction, Religion, Sports, Travel. The Agency welcomes queries from any writer about any project, by email or snail mail. Please use West Coast Writers Conferences in the subject line. She will also appear on panels and take pitches from authors with polished manuscripts at various times for the day. Please make an appointment at the ProCritique Desk. 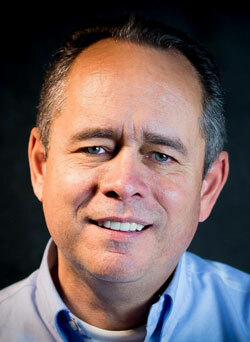 Steven Hutson is a literary agent and publishing consultant for WordWise Media Services. He’s a native of Los Angeles, and a storyteller almost from birth: poems, articles, business letters, and advertising copy. But like most writers he kept a day job, waiting for his big break. He majored in business at Los Angeles City College, and had two books published. One thing led to another; Steve established his editing business in 2005, handling hundreds of books on every subject from Bible study to yoga to credit repair. He managed a writers’ conference for several years, and mentored hundreds of aspiring authors. Finally, in early 2011, he branched out as a literary agent. He has placed his clients’ works with Dutton, Thomas Nelson, Tyndale, Potomac, David C. Cook, Praeger, Writer’s Digest Books, and others. Several clients have won prestigious awards for their works. Today he’s in demand as a speaker for writers’ events. Swimming, gardening, and cooking keep his hands busy in-between. He lives in sunny Southern California with his wife Ruth and son Bradley. Toni Robino, co-founder of Windword Literary Services, LLC, is a leading editorial collaborator, bringing books from concept to fruition, working with major publishing houses, independent publishers, and in the new hybrid digital space. BookWalk, her customized book-writing course walks writers through the process of conceptualizing and writing high-quality books. 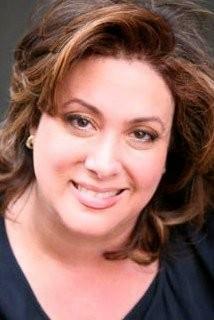 She also teaches writers how to create powerful pitch packages, increasing their likelihood of agency representation. 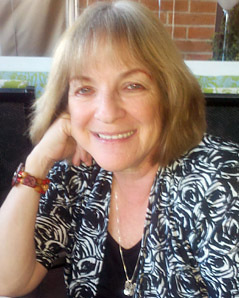 As a literary scout, Toni is currently developing authors and book projects for the Sarah Jane Freymann Literary Agency. Highlighted credits include New York Times bestsellers and groundbreaking titles such as The Male Brain: A Breakthrough Understanding of How Men and Boys Think by Louann Brizendine, MD; 100 Heartbeats: The Race to Save Earth’s Most Endangered Species by Jeff Corwin of Animal Planet, MSNBC and Discovery; Higher Love, Skiing the Seven Summits by Kit DesLauriers; Spiritual Pregnancy by Shawn Tassone and Kathryn Landherr; Living Rich with Coupons by Cindy Livesey, a frequent guest on the Rachael Ray Show; The Little Book of Healthy Beauty by Dr. Pina LoGuidice, frequent guest on Dr. Oz. Katharine Sands of the Sarah Jane Freymann Literary Agency has worked with a wide list of authors who publish a diverse array of books. She is the agent provocateur of "Making the Perfect Pitch: How to Catch a Literary Agent’s Eye", a collection of pitching wisdom from leading literary agents. Recently contributed “Grey is the New Black” to Fifty Writers on Fifty Shades of Grey, a nonfiction look at the cultural phenom of the bestselling novel. Actively building her client list, she likes books that have a clear benefit for readers’ lives in categories of food, travel, lifestyle, home arts, beauty, wisdom, relationships, parenting, and fresh looks, which might be at issues, life challenges or popular culture. When reading fiction she wants to be compelled and propelled by urgent storytelling, and hooked by characters. For memoir and femoir, she likes to be transported to a world rarely or newly observed. Some of her highlights include: Spiritual Pregnancy: Nine Months that Change Your Life Before You Give Birth by Dr. Shawn Tassone and Dr. Kathryn Landherr; Talk to Strangers: How Everyday Random Encounters Can Expand Your Business, Career, Income and Life by David Topus; The New Rules of Attraction: How to Get Him, Keep Him and Make Him Beg for More by Arden Leigh; Stand Up for Yourself: Resolve Workplace Crises Before You Quit, Get Axed or Sue the Bastards by Donna Ballman; Making Healthy EZ with Dr. Oz guest, Dr. Julie Chen; Dating the Devil (producer: Vast Entertainment) by Lia Romeo; XTC: SongStories; Chasing Zebras: THE Unofficial Guide to House, MD by Barbara Barnett of Let’s Talk TV; CityTripping: a Guide for Foodies, Fashionistas and the Generally Style-Obsessed; Writers on Directors; Ford model Helen Lee’s The Tao of Beauty; Elvis and You: Your Guide to the Pleasures of Being an Elvis Fan; New York: Songs of the City; Taxpertise: Dirty Little Secrets the IRS Doesn’t Want You to Know; The SAT Word Slam, Divorce After 50; Trust Your Gut; Make Up, Don’t Break Up with Oprah guest Dr. Bonnie Eaker Weil to name a few. Paul has over 1,600 editors in his database to whom he has sold over 150 fiction and Nonfiction books. As an entertainment lawyer, he has written the legal contracts for several books adapted as movies-for-television. With over a quarter of a century of experience in the entertainment and book industries, he is one of the few lawyers on the West coast who also understands the world of book publishing; as such, he is able to act as both literary agent and publishing attorney for his clients. Highly aware of market trends and editors’ preferences, Mr. Levine limits himself to representing projects that he believes in and feels certain he can sell. 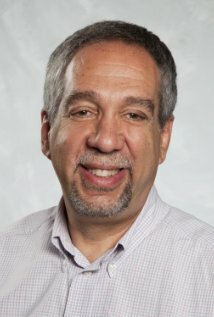 For Masters ProCritiques, Mr. Levine will read and critique: General fiction, Mystery, Romance, Reference, Biography, Computers / Technology, Business/investing/finance, History, Mind/body/spirit, Health, Travel, Lifestyle, Cookbooks, Sports, African-American, Science, Memoirs, Autobiographies, Narrative Nonfiction. Please submit the first chapter of 20± pages (appx. 2500 words) with a synopsis of the story or concept. He will meet with you to discuss his review at the conference during a personal meeting.